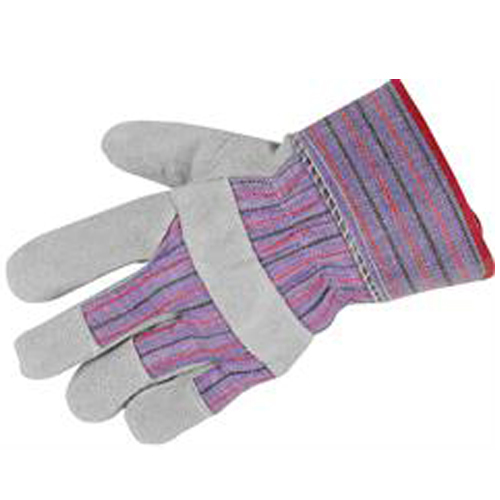 Grey chrome leather Canadian pattern rigger glove with full cotton denim backing with elasticated band for comfort. Ideal for most handling operations. EN420Minimal Risk Only.